There is nothing like a holy place or a special time for the contemplation of the Omnipresent Lord. Wherever the mind revels in the contemplation of the divine, that is the Holy Place! Whenever it does so, that is the auspicious moment! There and then, one must meditate on the Lord. For meditation on God, there is no fixed time or place. When and where the mind so desires, then and there, is the time and place. The meditation on any one of His countless names will act as the goad that can tame the elephant in rut and make him bend his knees and lift the log on his tusks. 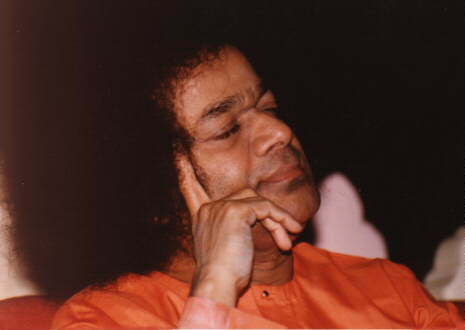 Real meditation is getting absorbed in God as the only thought, the only goal. God only, only God. Think God, breathe God, love God, live God.